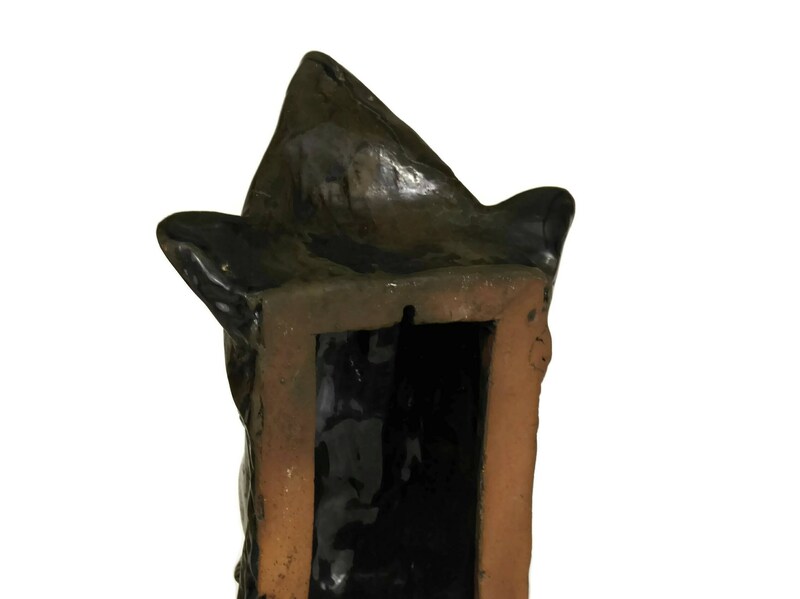 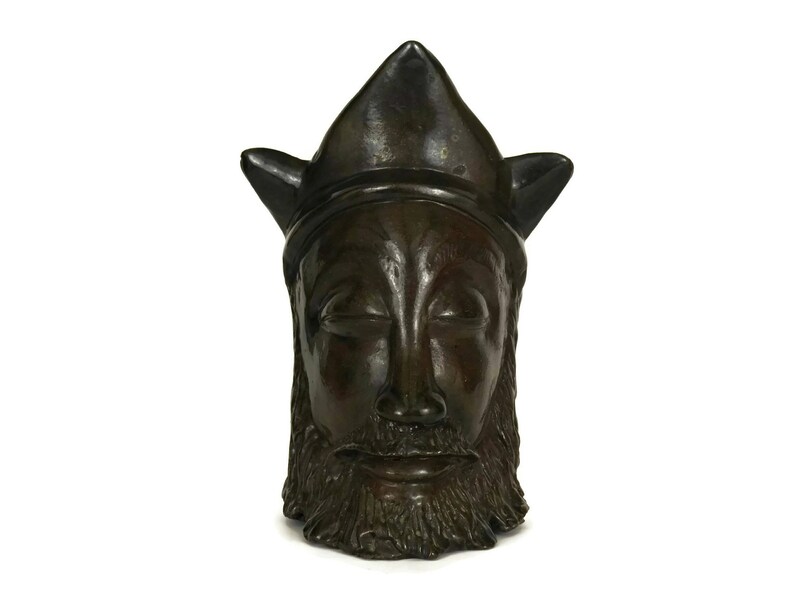 A striking Mid Century king pottery sculpture. 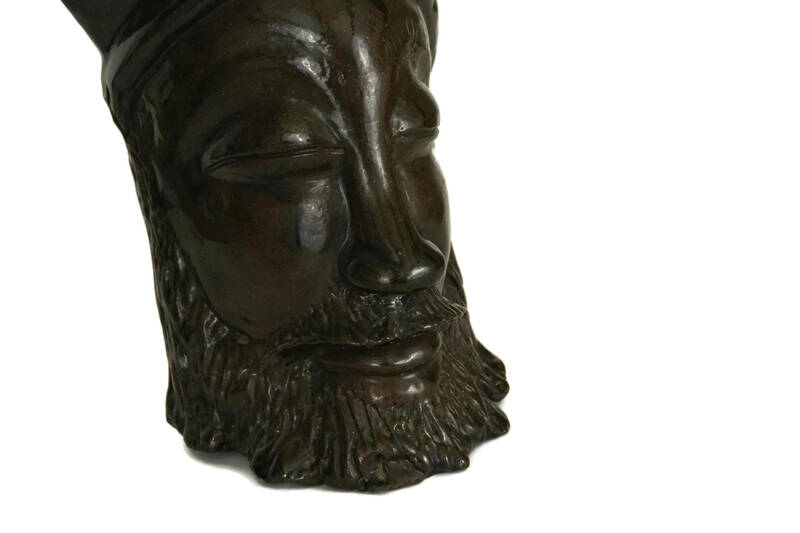 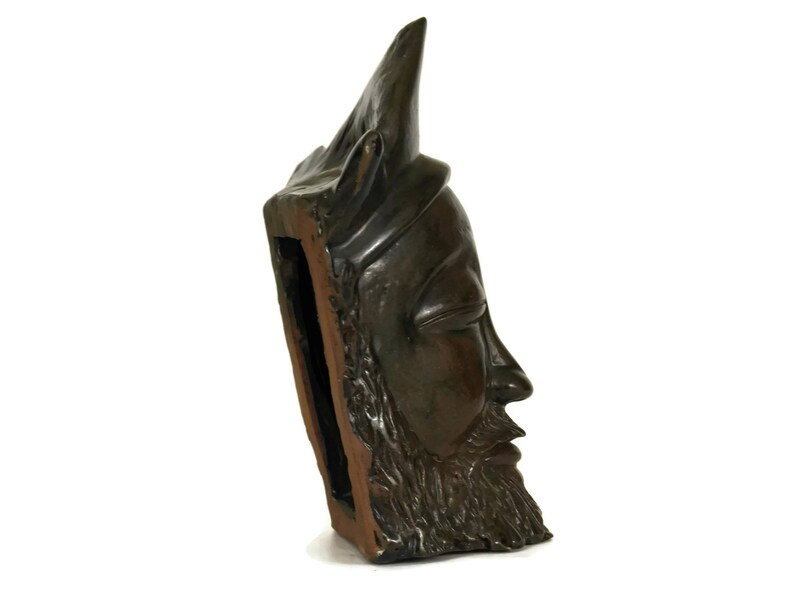 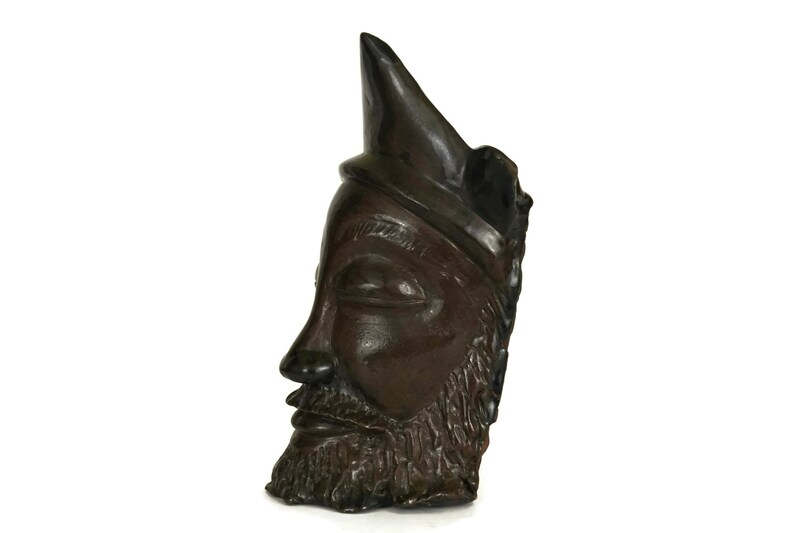 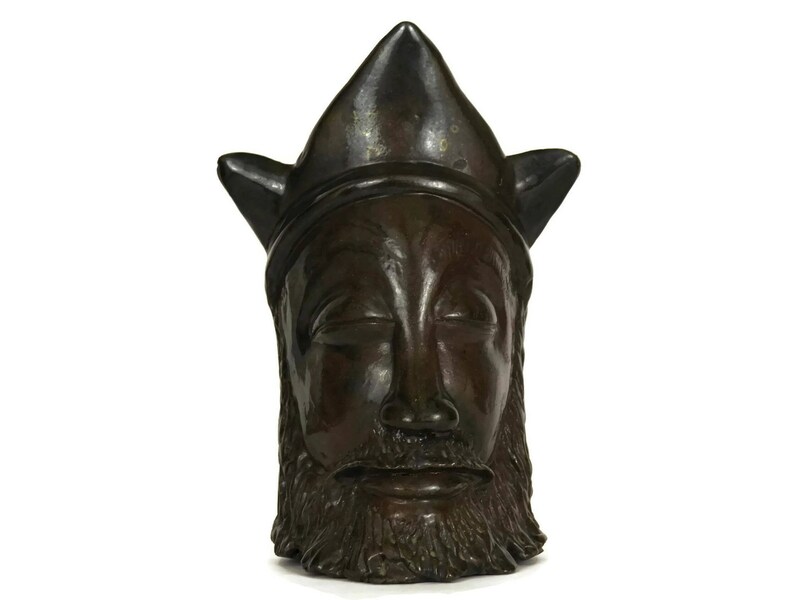 The art terracotta figure has been hand sculptured and portrays a bearded man wearing a crown. 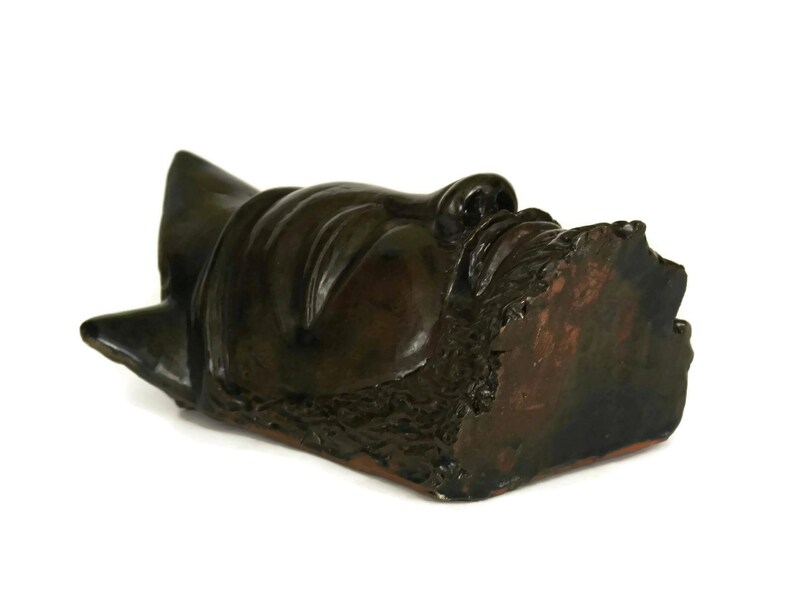 The pottery bust has been glazed in a deep shade of brown. 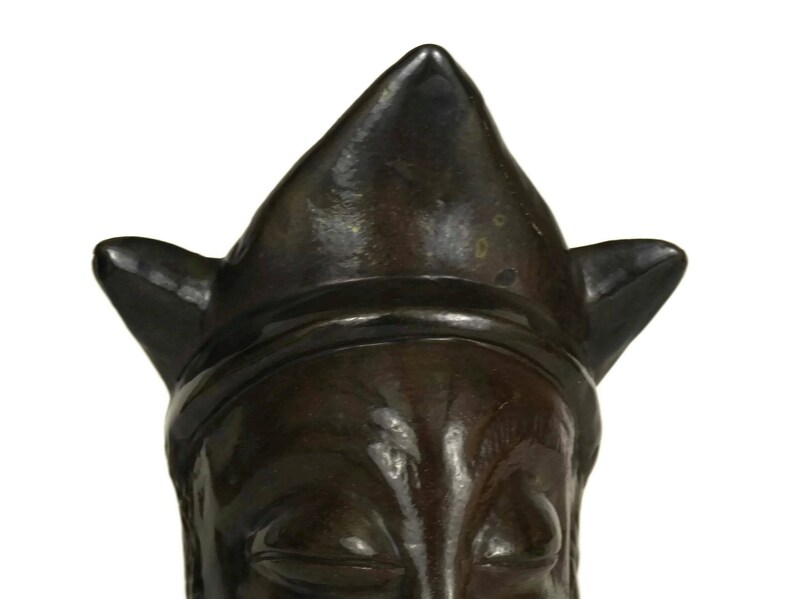 There is a small groove on the reverse side to hang the bust from the wall. 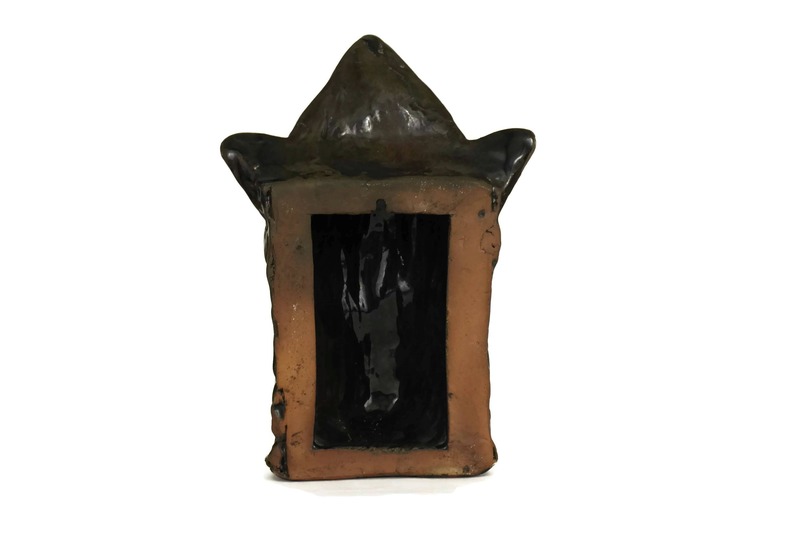 (25 cm x 15 cm x 10 cm). 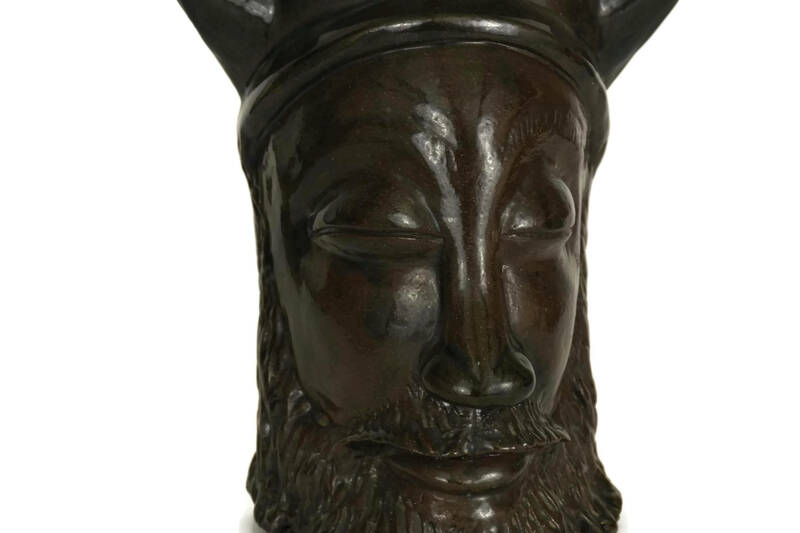 The art pottery portrait in very good condition.